What Is DA Form 5655? 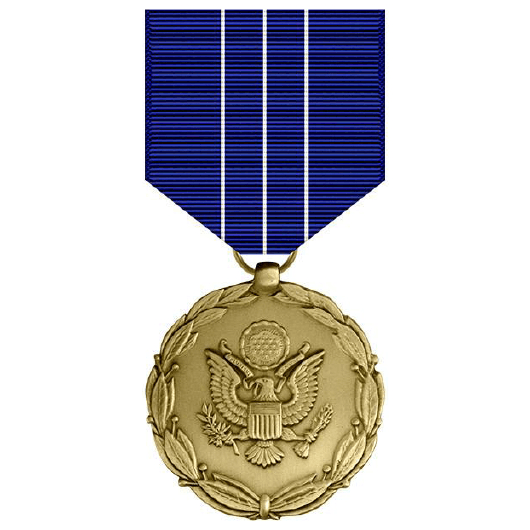 DA Form 5655 is a citation certificate granted to civilian employees within the federal agencies of the U.S. Government for superior service or an outstanding achievement (as well as for heroism of a lesser degree than needed to receive the Decoration for Exceptional Civilian Service) along with the Meritorious Civilian Service Medal (pictured down below). The latest version of the certificate itself - formerly referred to as the Superior Civilian Service Award - was released by the Department of the Army (DA) in February 2019 with all previous editions being obsolete. As of today, no fillable DA Form 5655 copies are available for download online. Procedural guidelines and additional information can be found in the AR 672-20, Incentive Awards, released in November 2018. A person authorized to approve the Army Meritorious Civilian Service Award is any commander ranked major general or higher, as well as any civilian equivalent. Along with the DA 5655, the awarded employee receives a medal and a lapel button. In case they are awarded for bravery, the medal will be accompanied by a cash reward of a minimum of $500. To become a nominee for the Meritorious Civilian Service Award (DA Form 5655), an employee has to be recognized by receiving one or more honorary or monetary performance rewards before. The nomination must be submitted within 6 months after the act or period to be cited. There are five different types of civilian service awards together with the DA 5655. Distinguished Civilian Service Medal - a medal, a lapel button, and a citation certificate in the form of the DA Form 7014. This award is granted by the SecArmy and if it is granted for bravery, a cash bonus of a minimum of $1000 is added to the abovementioned list. Superior Civilian Service Award - a medal, a lapel button, and a citation certificate in the form of the DA Form 7015, Superior Civilian Service Medal. It is granted by the SecArmy or a major commander in a case when a nominee has established a pattern of excellence usually demonstrated by receiving awards of a lower level. A cash reward of a minimum of $750 will be added if a medal is granted for bravery. Civilian Service Commendation Award - a medal, a lapel button, and a citation certificate in the form of the DA Form 4689, Civilian Service Commendation Medal - colonel or above - or by any equally-ranked civilian official for services or achievement of a lesser degree than needed for the previous awards. Achievement Medal for Civilian Service - a medal, a lapel button, and a citation certificate in the form of the DA Form 5654, Civilian Service Achievement Medal. Is provided for noteworthy achievements of a lesser degree than recognized by the abovementioned citation certificates.